Solid copper strap. 0.0185" thick. 4-3/8" wide. New old stock. Dents and wrinkles are pounded out but still not perfectly flat. Expressly designed for use as electro-magnetic interference (EMI) and radio-frequency interference (RFI) shielding on small electro-magnetic components - transformer and reactor coils, instrument and control motors. Also ideal for printed wiring board modification and repair. Outstanding adhesion provided by an insulating, chemically-pure, non-corrosive, solvent and heat resistant thermosetting acrylic adhesive. Excellent solderability. 0.625" wide 1 oz. copper foil tape. 5/8" x 100 ft. roll. Permacel copper foil adhesive tape. 3M / Scotch backing material. 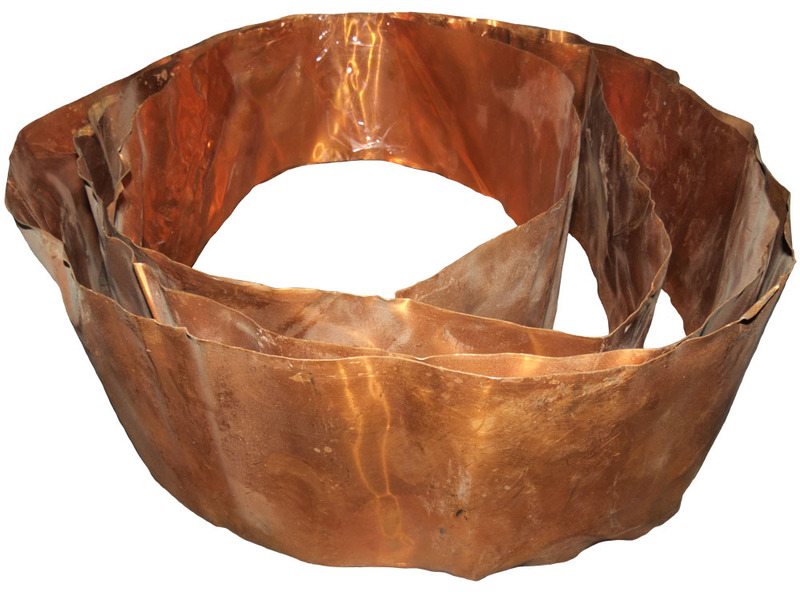 0.066mm (0.00255") copper thickness. 1" wide. Roll weighs 0.9 lbs. 4-11/16" diameter roll. Permacel copper foil adhesive tape same as above except 1" wide, 0.003" thick. 4-1/4" diameter roll. Mfg: Johsh. Permacel copper foil adhesive tape same as above except 1" wide. Roll weighs 0.786 lbs. 4-3/8" diameter roll. Permacel copper foil adhesive tape same as above except 3/4" wide. Roll weighs 0.673 lbs. 4-5/8" diameter roll. Aluminum pad. Adhesive back with anodized black surface. 4.23" x 5.53". 0.018" thick. 22 AWG silver plated copper wire. 1-1/4% plating. ASTM B 298 Class A. Soft drawn wire. 0.253" diameter. 514' per lb. This insulated strap is used to wind low inductance high current transformers. The Mylar is insulated between layers of the winding. Shorting bar / tuning stub. 2 insulated plates coupled with slider bar and finger contacts. Silver plated. Contact bar dimensions: 2" x 8". 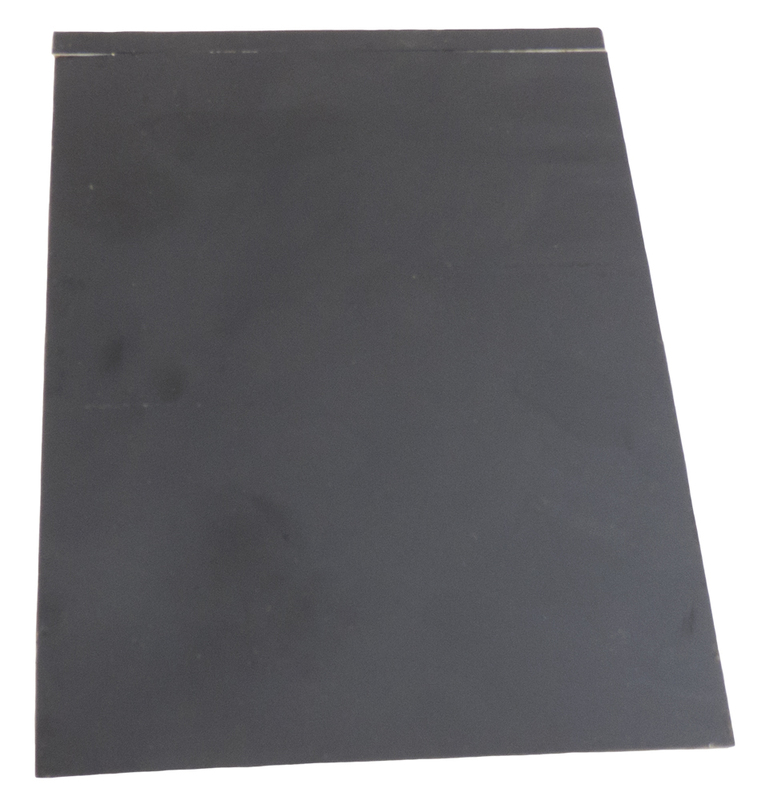 Top mounting plate dimensions: 3" x 8-3/8". Originally made for Gates transmitter. Gates P/N: 992-3267-001. 2.57" wide punched copper screen mesh comes in 660 foot rolls. Sold per foot. Universal copper strap. Nickel plated, 14 gauge copper. 0.562" x 3.655" long. 3/8" wide soft flexible strap for heavy duty grounding of "RF" equipment. (0.005") thickness. Sold per foot. Tinned copper strap. 0.052" thick, .373" wide. Great for RF & DC buss lines tank circuits; any high current circuit. Sold per foot. 3/4" wide hard drawn copper strap for grounding of "RF" equipment. (0.005") thickness. Sold in 5 foot lengths only. 3" wide soft flexible strap for heavy duty grounding of "RF" equipment. 22 gauge (0.025") thickness. Sold per foot. Brass strap. 2" wide. 0.006" thick. Sold by the foot. Copper strap. 2" wide. 24 gauge. Sold by the foot. Copper strap. 4" wide, 0.035" thick, 20 gauge. 32 feet available. Copper strap. 6" wide, 0.035" thick, 20 gauge. 25 feet available. 1" x 3" heavy silver plated strap great for interconnects in a "RF" tank circuit. 18 gauge (0.040") thickness. Same 1" x 3" strap as above but GOLD plated. 0.092" wide x 25' long roll of 98% silver, super-flexible ribbon for use in "RF" tanks and interconnects. 0.0056" thickness. 24.205 grams/ roll. German Silver alloy. 1/4" wide. 0.02" thick. Silver anode flexible link. Surplus from Collins radio. Silver plated beryllium copper. 0.53" inside diameter cap. 5.75" overall length. RF Interconnect tubing. 3/8" outside diameter, silvered copper. 5/16" hole - 1 end / flat on other end. 4-1/2" rise, 7" end to end. Silver plated bronze strap, 1/2" wide x 4-1/2" long, 0.008" thick. 1/4" hole each end. Beryllium copper strap. 3-7/8" x 7/8", 0.005" thick. 9/32" hole 5/8" in from each end. 5/32" hole in the middle. Flexible but tough. Nickel plated. RF silver contact on silver beryllium copper strip. 0.375" wide, 3" long overall. NSN: 5999-00-035-9173. Micro Metals buss bar, ferrite "C" core. 26 mix, yellow. Use bus bar cores for filtering of output bus in switch mode power supply. Our super, low-profile is rated at 135 amps. Clamp around bus bar and ty-wrap or tape in place. 3/8" length, 0.718" x 0.3125" x 0.100" x 0.5". Sold in pairs. Solid copper strap. 20-3/4" long, 3/4" wide, 0.031" thick. 2 x 5/32" x 1/2" slots at one end. 1-1/16" x 5/16" right angle bend at the other end.